I going to replace both the front and rear suspension struts on my passenger side of my X. Can someone please tell me how much these should cost and maybe a supplier. Eurosport in Diss are first class. As for the struts you really need the whole lot, the reason is that if you replace one side only the car suspension is not balanced. I know this sounds expensive but it is the best and least expensive way to sort the problem. My car handling was transformed after a new front set, they seemed alright when I pushed up and down on the car, but they wern't. Also, more expense, get a garage to fit the springs, if they come off while compressing them you might not need the car any more. Double as I think I paid too much for the area to start with. I do like my X and I'm always smiling when I'm driving and it's not even summer yet ! I understand the Eek. You really need springs as well if a bump can take the present springs beyond their elastic limits. You have one of the best sports cars, regardless of price and the sense to own one. Every time I go out in mine it is admired. Aston Martin and Ferrari drivers do not get this because there is nothing of themselves in the car, just money. If you want to feel better, and we all do, type IMS bearing Porsche into Youtube and see how the vain and mighty suffer. Or look underneath a Ferrari 308GT4 and see the horrors. Lamborghinis with seven oil sump plugs. Although the work will cost our cars are incredible bargains, Austin Healey Frog Eye, look at the price, no boot or door handles or windows yet £10,000 or more. I owned one, My X19 even has a proper roof. David, thanks for the reply. Yes they're great little cars. I've had my car at my friends garage. 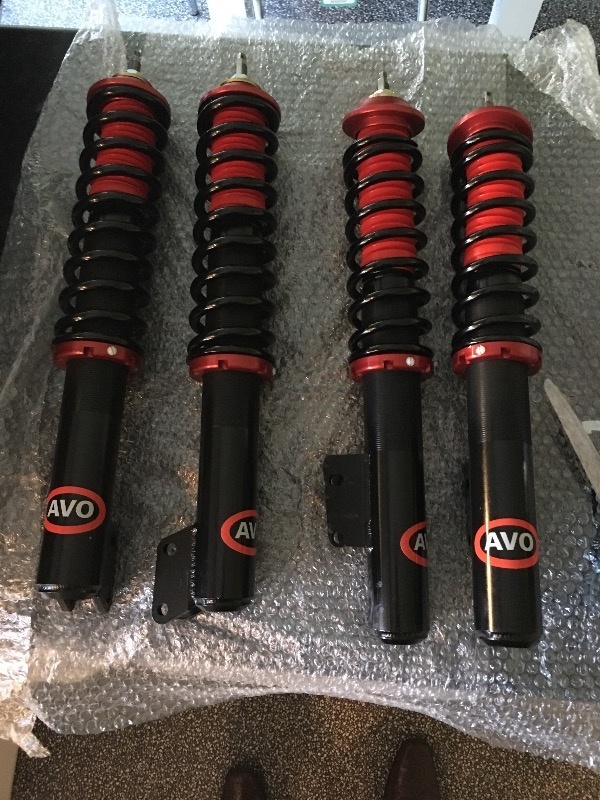 I paid a pretty low price on 2 front shocks. He told me the other day that the one giving me trouble had lost its oil so there really was no absorption! The rear brake caliper needed replacing aswell, plus a new front bonnet cable that I hadn't got around to fixing. I'm collecting her today so I'm looking forward to seeing what the drive is like. Michael, how much did those cost ? So I've had the front struts replaced but the problem remains. IF I hit a pot holes the spring compresses then the cup at the top gets stuck to the Base and it gets wedged and the spring doesn't push back up. The "solution" is to Jack the car up , piece of wood on top of spring, a hammer and then it pops back up. The problem is after doing this the hard plastic piece that the spring sits on has started to cracking so I'd like to replace that but I don't know what it's called or where to get it from. I think I'd like to replace the top part of the suspension aswell but again, don't know what they're called or where to look. Should I be asking someone who's breaking a car ? I replaced all of my struts, and purchased everything from Eurosport. I didn't do anything fancy I just wanted to keep all original. "the spring compresses then the cup at the top gets stuck to the Base and it gets wedged and the spring doesn't push back up"
What is going on here??? Sounds very stange? Yes it is a bit of an odd one. After hitting the pot hole my near side spring stayed compressed, which made for quite bumpy ride. My mechanic told me the strut was broken and when he replaced it he said he tipped it up and oil fluid/oil came out so it definetely needed replacing. Thanks for the replies guys but im still no closer to finding the part /s that i nesd. Thankz for the pics , they're really helpful. I still have the disc bit of the part but the tube/lip bit is broken so I'll replace this bit as well. I don't think I need these as these are bolted to the car, the parts I'd like to replace are the the parts at the top of the spring that come off when you remove the suspension. I’ve had my X 3 weeks now, had fluids changed and had a new sump plug rebored due to past bodges. The garage reports that one of the front springs is badly corroded and will need changing. As I like to upgrade as I go along, is a lowered set of springs a good idea? There is a lot of air in the rear arches. My car is a bucket list car, my grandfather was a fiat mechanic and had a 500 in the 70’s. I used to visit him at work and always wanted an X.
I see coil overs can be an issue so will stick to springs and shocks. What’s the general consensus on lowering the X? I live in SW London so speed humps a plenty. Any thoughts or advice much appreciated.